In a recent New York Times article,5 Michael Moss, author of Salt Sugar Fat, dished the dirt on the processed food industry, revealing that there’s a conscious effort on behalf of food manufacturers to get you hooked on foods that are convenient and inexpensive to make. To protect your health, I advise spending 90 percent of your food budget on whole foods, and only 10 percent on processed foods. It’s important to realize that refined carbohydrates like breakfast cereals, bagels, waffles, pretzels, and most other processed foods quickly break down to sugar, increase your insulin levels, and cause insulin resistance, which is the number one underlying factor of nearly every chronic disease and condition known to man, including weight gain. I’ve detailed a step-by-step guide to this type of healthy eating program in my comprehensive nutrition plan, and I urge you to consult this guide if you are trying to lose weight. A growing body of evidence also suggests that intermittent fasting is particularly effective if you’re struggling with excess weight as it provokes the natural secretion of human growth hormone (HGH), a fat-burning hormone. It also increases resting energy expenditure while decreasing insulin levels, which allows stored fat to be burned for fuel. Together, these and other factors will turn you into an effective fat-burning machine. Exercise: Anyone who exercises intensely on a regular basis will know that significant amounts of cardiovascular exercise is one of the best “cures” for food cravings. It always amazes me how my appetite, especially for sweets, dramatically decreases after a good workout. I believe the mechanism is related to the dramatic reduction in insulin levels that occurs after exercise. Organic black coffee: Coffee is a potent opioid receptor antagonist, and contains compounds such as cafestrol — found plentifully in both caffeinated and decaffeinated coffee — which can bind to your opioid receptors, occupy them and essentially block your addiction to other opioid-releasing foods.7 This may profoundly reduce the addictive power of other substances, such as sugar. Thanks for such an informative article, I’ve shared it in the hope that more people will take processed food seriously. 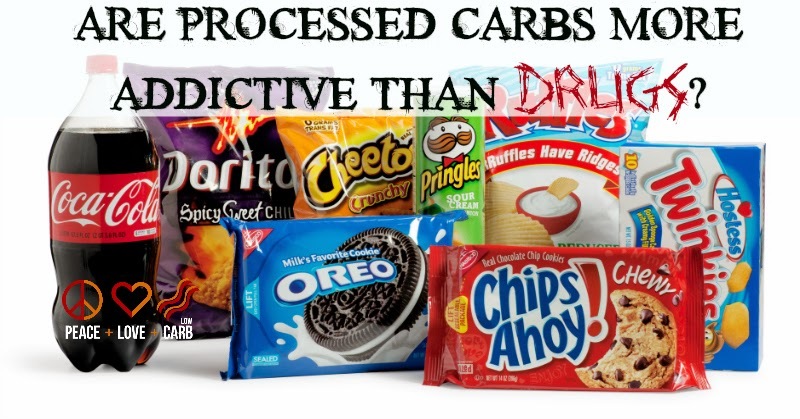 I’ve struggled with sugar addicition most of my life and know first hand that addicition is not an exaggeration. I’m currently 2 weeks free of that sweet demon and starting to really see and feel the benefits. Sadly most people don’t want to hear it, but thankfully word is spreading that ‘just because they allow it in our food does NOT mean it’s safe’. It’s difficult~especially on a tight budget~ but if you just keep in mind that food companies only have their bottom line in mind and don’t actually care about you (harsh but true) it’s easier to walk past the mass of products and advertising that can’t really be classed as food. Sorry for the long message…as you can see this is something I’m passionate about! I have in fact written some articles about sugar myself 😛 I can send you the links if you’d like. Great work and I look forward to reading more from you!